Students Jessica Lizzio (left), Amanda Lawler, and Brooklyn Jewsbury talk with their client after their ICC presentation. Illinois State students do not have to wait until graduation to gain real-world experience. They don’t even have to get a summer internship to find out what it’s like to collaborate with a leading organization. They only have to join Illinois State University’s Innovation Consulting Community (ICC). For the third-consecutive year, ICC matched small teams of students from diverse backgrounds across disciplines with off-campus clients from a wide range of industries and organizations. From November until April, the students acted as consultants, researching problems and developing solutions for these large organizations. This year’s cohort presented their projects Friday, April 12, in the Caterpillar Auditorium at the State Farm Hall of Business. The clients were a Chicago professional sports team, an environmental nonprofit, major coffee and grocery chains, a regional health care organization, and an organization based in Indonesia supporting a local community. The names of the organizations are withheld due to confidentiality. The students began the program by completing background material on leadership, project management, design thinking, and other areas. Then they spent months researching and fine-tuning recommendations for the organizations. ICC assigns mentors—Illinois State staff or faculty members or Bloomington-Normal leaders—to assist the students as they define and understand the problem, test potential solutions, and work with the client to finish the project. One team helped the coffee chain understand high turnover among its millennial employees. Another worked with a nonprofit organization to minimize or eliminate single-bag use in order to reduce harm to the environment. Lindsay Logan presents the results of her ICC project. Senior Lindsay Logan’s team partnered with the health care organization to propose diversity initiatives it could use to broaden its workforce and attract more young people from underrepresented groups to the health care field. The clients appreciated the students’ efforts. 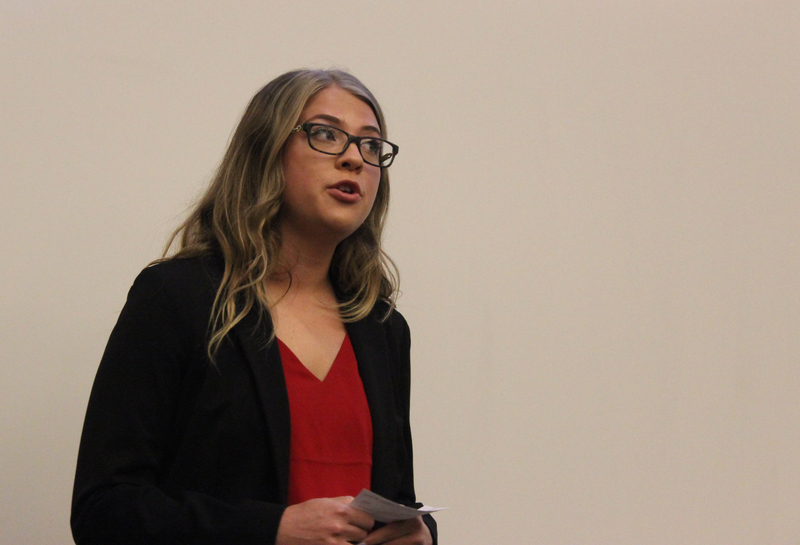 The students who consulted for the professional sports organization were asked to find four or five companies that would potentially be interested in buying high-priced single-game suites. The team returned with a list of 40 prospects, and used the Salesforce Platform, a customer relationship management system, to showcase their sales leads. Related Article: Student consultants ISU students receive real-world experience through the Innovation Consulting Community. Marketing Professor Peter Kaufman founded ICC in 2016 with the help of faculty and staff from units across campus. The student pool reflects that same diversity, and all majors at any grade level are welcome to participate. 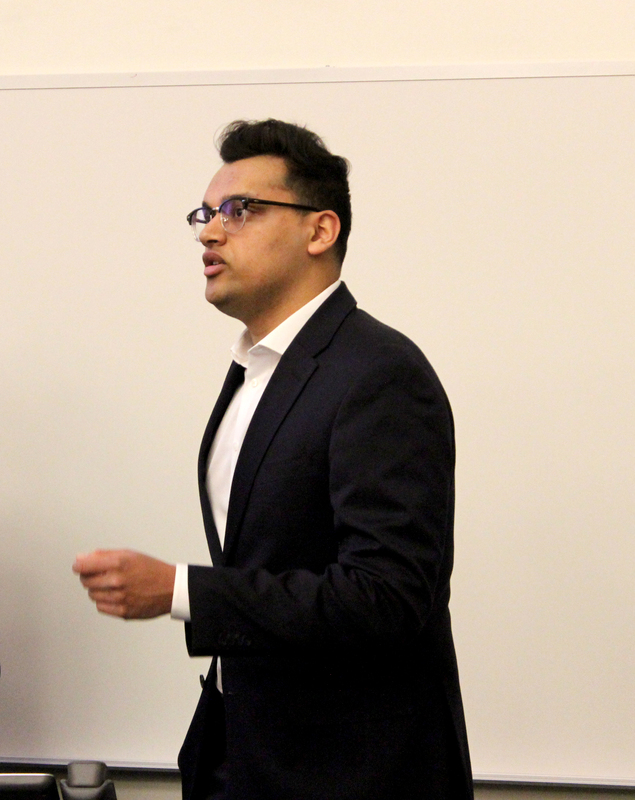 Shobhit Bhaskar, a junior finance major, presents on his ICC project partnering with a grocery chain. ICC offers students the rare opportunity in college to work on a project they ordinarily wouldn’t have easy access to, which can expedite their professional development, Kaufman said. The ICC projects intentionally have ambiguity to provide students with the most real-world of experiences that they may not experience until postgraduation. This is beneficial to students who will be expected to be self-starters once they enter their careers. As a direct result of their participation in ICC, students have received internships and full-time jobs and often include their ICC experience in applications for awards and other types of recognitions. Those interested in participating in the Innovation Consulting Community as a student, mentor, or client, should email Professor Peter Kaufman.